Thanks for taking the time to visit us at Handel Automotive providing Automotive Services to the Madison, Wi area. We are a family owned and operated business, with owners and managers living within the community. We pride ourselves in being on the leading edge of customer service. We hope that you give us the opportunity to exceed your expectations when it comes to servicing you and your automotive needs. 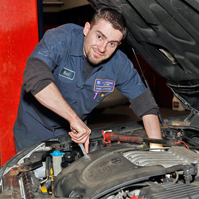 We want you to know that we will go out of the way to make it easier for you to get vehicle repairs. We can pick up and drop off your vehicle or give you a ride to home, work or play and pick you up later. We also have a few loaner vehicles for customers with proof of insurance and valid drivers license. Always Honest Pricing: Always honest pricing is our promise to provide you with information so that you can make an informed choice about the maintenance and repair services for your vehicle. It’s our goal to help you understand your options so that you can make the choice that’s best for you. We provide recommendations with a quote informing you about the costs for any recommended maintenance or repairs. 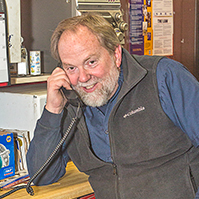 Service you can Trust: We are a locally family owned business and our customers are like friends. It’s important that you feel you can trust us to provide you with accurate recommendations with fairly reflected pricing. It’s our goal to educate you about your options so that you can stay on the road, making memories without the hassle of unexpected car troubles. Our family is here to take care of your family’s car! Life is about making memories, let us take care of your car and you can do the rest! 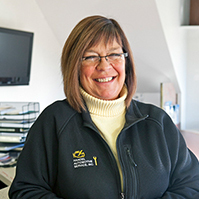 When one door closed, another opened, to the auto industry, and that’s where Laurie has been ever since! For years, Laurie was inspired by Darryl’s passion for the auto industry and it just made sense for her to get involved and make it a family business, which is has been now for over 10 years! Darryl has been in the automotive industry over 45 years. It all began with riding along one day with his father, the repo man. Darryl got the chance to ride in a repossessed Dragster and fell in love! He started working on cars at a local shop at the age of 14 and hasn’t stopped since! Bill has been the fix-it man at Handel Automotive for over 30 years! You’ll find him at the front-desk with a friendly smile, ready to help you with your auto needs. An avid outdoorsman, when he’s not manning the front-desk, you’ll find him on the lake. 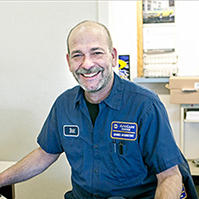 Matt enjoyed restoring cars so much as a hobby that he turned it into a career. Outside of the shop you’ll find him with his family spending time outdoors. Get The Offer Right Away!